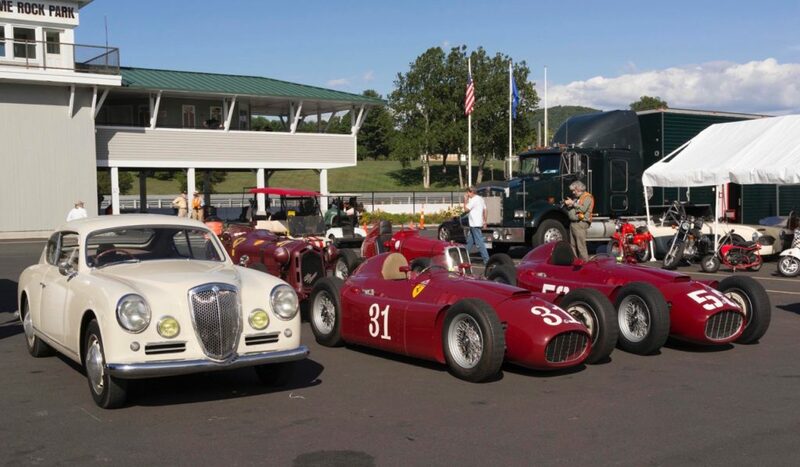 Lancia reunion at Lime Rock, my B20 meets two D50s, rare and unusual members of the family. 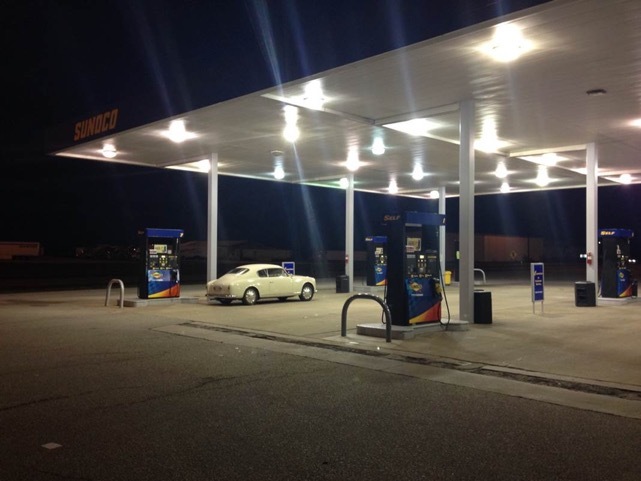 How far will a 64 year old car go? As far as you want. At least that’s my feeling. After restoring my 1952 B20 in 2008-2011, and having to fix a bunch of things since (motor, etc. ), the car has decidedly become more friendly. So it was time to revisit youth and take it to the east coast. Its a trip I like to do about every 10 years. 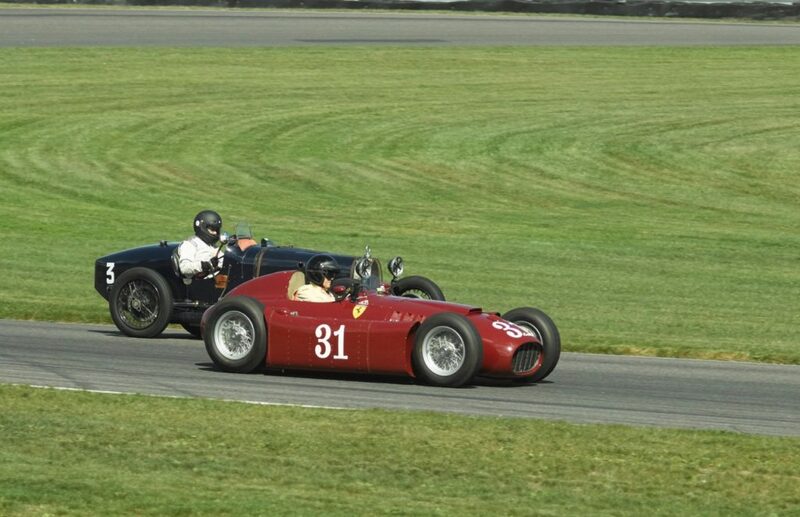 The occasion was the running of two D50s at the Lime Rock Vintage Festival, on Labor Day weekend (early September). I used to go to visit friends with a house nearby, and they would toss me the keys to the Ducati F1, urging me to give it exercise. Now, four wheels were in order. Disaster struck just before leaving: a diagnosis of broken clutch forks on Thursday, just 5 days before a planned departure, put the whole trip in the “no way” pile. But the Italian network works well when it wants, and from my mechanic friend Gianni D’Avola (Autosprint, in Chicago) to Enrico at Cavalitto, and parts were on their way Friday eve, and arrived Monday. Mike Kristick added a throwout bearing in quick time, and by Tuesday afternoon, the car was ready to go. Wow. I left that night, to get out of Chicago heat without traffic, drove to the Ohio border, and stayed in a stately 1920s hotel that had seen better times, but was full of charm. Next day across Ohio to Rt. 6 in Pennsylvania, and spent the third day on that two lane road across the state, and ultimately up through NY to Connecticut, to meet my wife and son who joined me there. 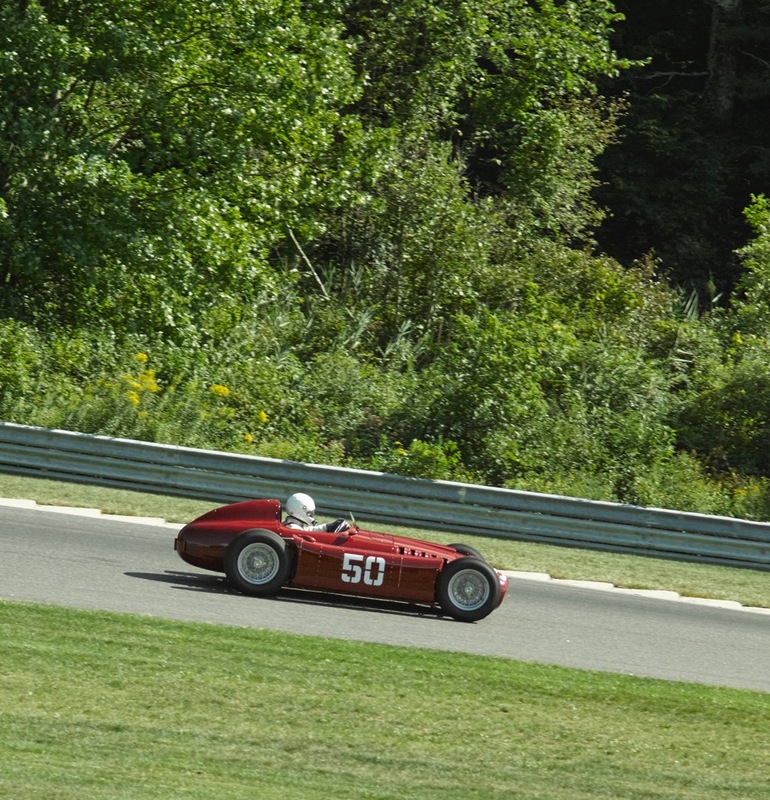 The track at Lime Rock is an older smaller track, and is full of charm. The scenery is wonderful, and everyone was attentive to the D50s. 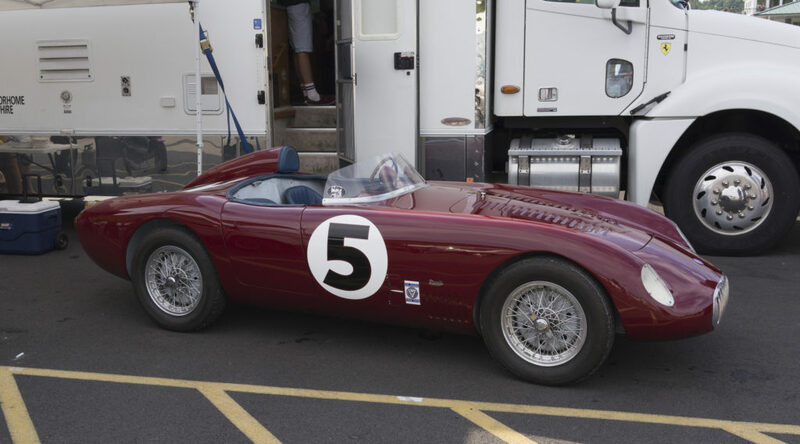 There were other cars of interest there – an Osca MT4, several wonderful 1950s Ferraris, a 1936 Maserati GP car, 8C Alfa and 6C, and an Aston Zagato. Santo Spadaro brought his very original B10 up, and a drive in that renews faith in Lancia berlinas! Not to mention the 50cc Maserati motorcycle! The weather was hot, but the cars ran well. 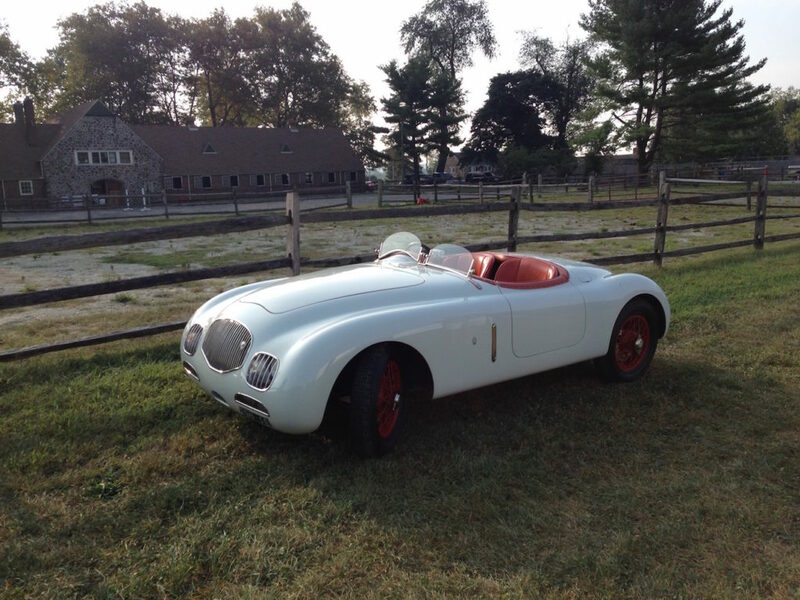 a star – the Osca MT4, just stunning. 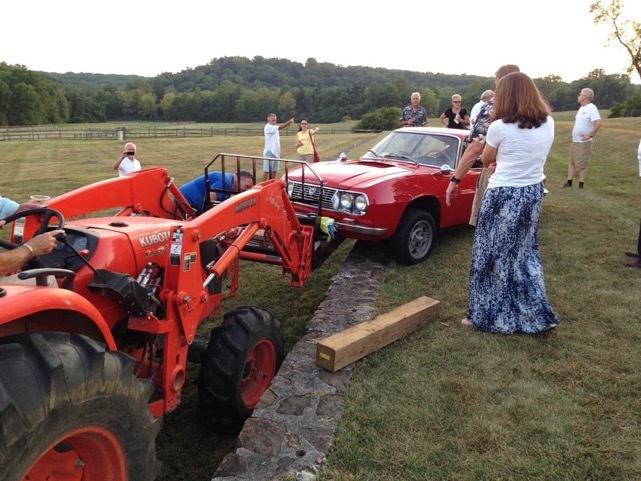 From there, a visit to the Steermans in NY, old Lancistas, and then to Storm King (a sculpture park). 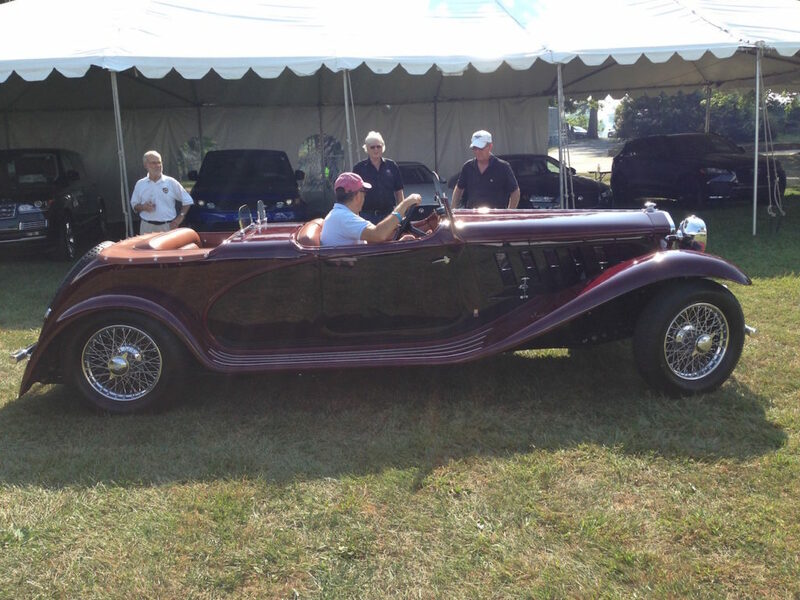 Went along Delaware Water Gap to Philadelphia, for a brief visit to the Radnor Hunt Concours the next weekend. Obligations meant only Friday and Saturday visit, but got to see a lovely 1.3HF, B24 Spider, Convertible and Aprilia Barchetta. Also met a man with a s.4 B20, lovely shape! 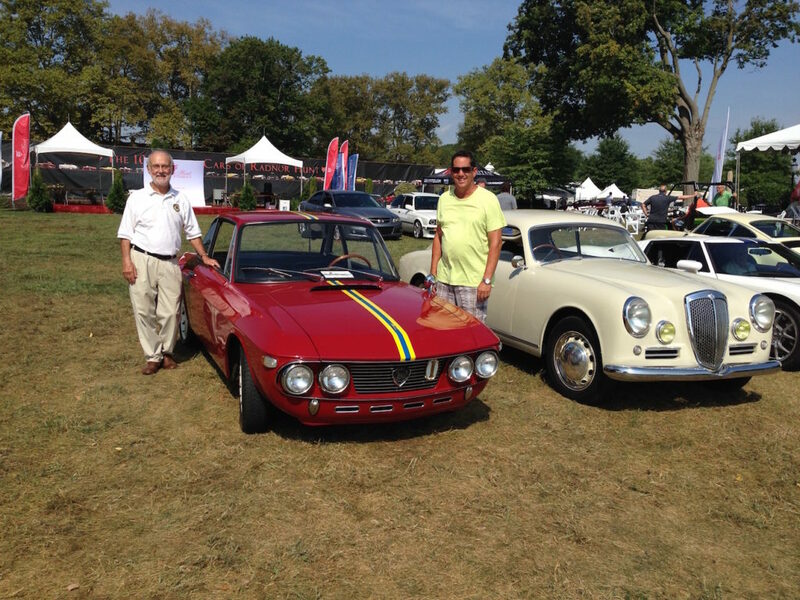 Mike Kristick and Mark Wolf by the Fulvia 1.3HF at Radnor Hunt on Saturday AM. Fulvia Sport took off, rolled down the hill, over a small stone fence. Rescued without damage, luckily! The drive home began along Rt. 30, the Lincoln Highway, with a stop at Gettysburg to see the field of Pickett’s Charge. Very sad and moving. Heard a very impressive explanation by a Colonel in the War College, who lived nearby, of the battle in full detail. Newfound respect for these very thoughtful people. A poor hotel experience led to the decision to drive home through the night, napping at rest stops. Avoid traffic that way, and you get to run the B20 without concerns! 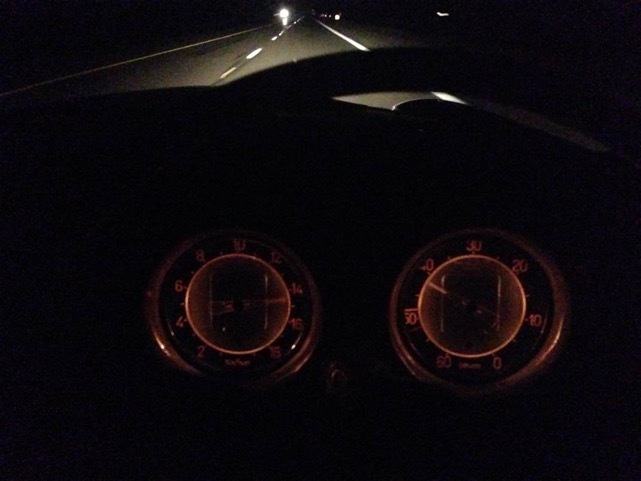 heading home in the middle of the night. Not so many people are awake then. Troubles? Practically none. The one flat tire was found in the morning in a hotel parking lot, saving the tire, with lots of space to unpack and change it. The glovebox lock failed. That was it.The car used 1/2 qt of oil, some water, mileage was typically 25mpg, and it never overheated. Vapor lock in the 90-95º weather was an issue if stopped, but with the electric pump on, the car stumbled to about 30mph, and then would get up and go. The heat was hard when stopped, but not an issue while moving, the Italians being very savvy about flow-through air. Open the windows a few inches for ventilation, ear plugs for noise, headphones for music, and its practically modern travel. It was fun, it worked out well, and the car is a delight to drive. Get it on those windy twisty roads tucked away in Connecticut or Pennsylvania, and the car is just bliss. No front or rear weight, it handles as you want. Like driving on a string, all of 2500 miles. 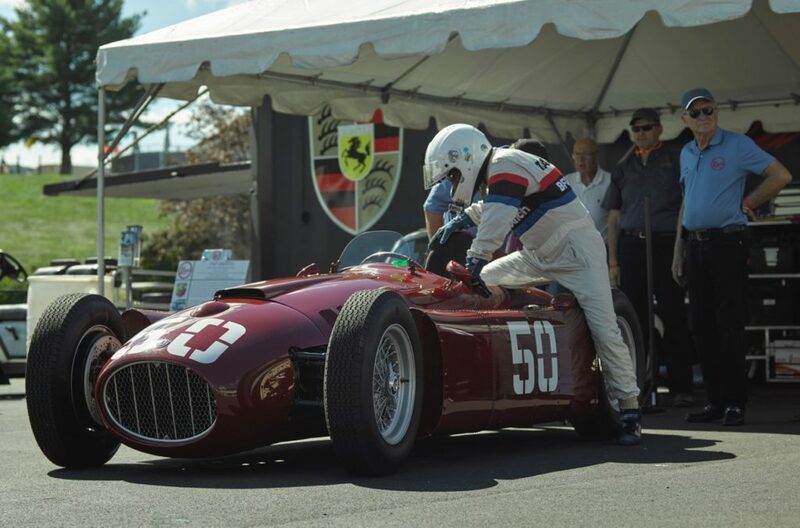 Great story Geoff, glad we got to reconnect at Lime Rock. I surely will be putting the miles on my B20, I am up to Saratoga this weekend for the Hemmings Concours so that will be some nice driving. If I get into the rally in Colorado again in 2017 perhaps I will just drive the car out and back and really make a trip of it like the Europeans do. Thanks for sharing.